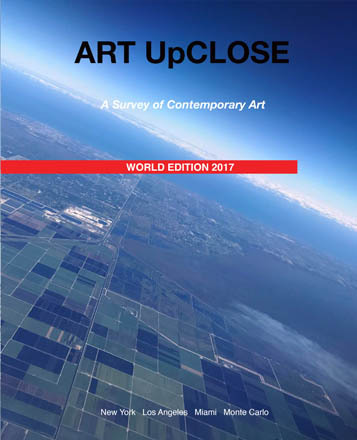 ART UpCLOSE World Edition 2017 presents diverse work of 37 international artists working in various mediums and disciplines.This collection includes paintings, sculptures, photographs, digital and mixed media art. Thus, it is a unique opportunity for the public to experience global art trends in one source. Featured work reveals a unique approach to art by each artist, as well as artists' ambition to frame esthetical, philosophical and social issues which compel them. The result is an immersion in the dynamics of form, color, structure and gesture. Its primary claim to authenticity is the effortless, seemingly casual sense of inevitability that greets the viewer in remarkable images included in ART UpCLOSE World Edition 2017. View this publication here. Buy it on Amazon. ART UpCLOSE World Edition 2016 presents diverse work of 65 international artists working in various mediums and disciplines. Featured work reveals artists' ambition to frame esthetical, philosophical and social issues which compel them. The result is an immersion in the dynamics of form, color, texture and structure. Its primary claim to authenticity is the effortless sense of inevitability that greets the viewer in all remarkable images. View this publication here. Buy it on Amazon. ART UpCLOSE World Edition 2015 presents diverse work of 65 international artists working in various mediums and disciplines.This collection includes paintings, sculptures, photographs, digital and mixed media art. Thus, it is a unique opportunity for the public to experience global art trends in one source. Featured work reveals a unique approach to art by each artist, as well as artists' ambition to frame esthetical, philosophical and social issues which compel them. The result is an immersion in the dynamics of form, color, structure and gesture. Its primary claim to authenticity is the effortless, seemingly casual sense of inevitability that greets the viewer in remarkable images included in ART UpCLOSE World Edition 2015. View this publication here. Buy it on Amazon.